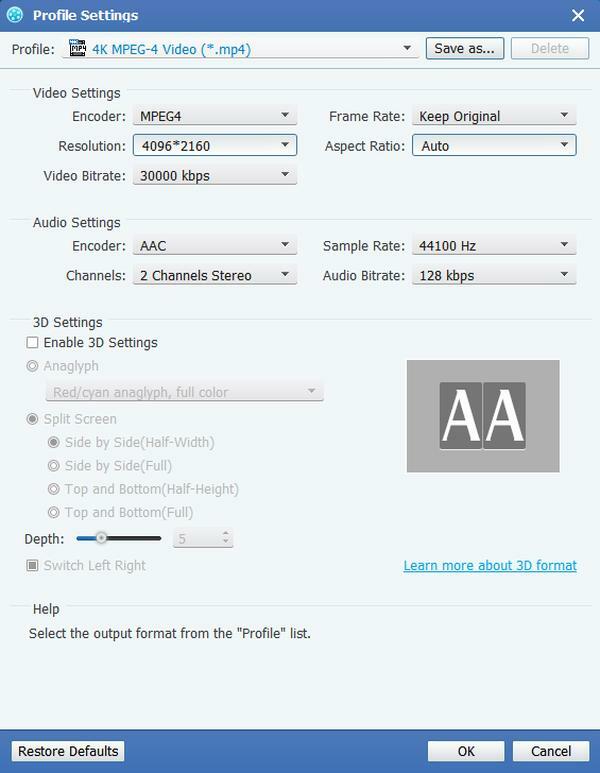 A MPEG-2 Transport Stream, also referred to as MPEG or MPEG-2 TS or simply TS, is a special format for transmitting MPEG (MPEG-1, MPEG-2, or MPEG-4) video mixed with other streams. It's commonly used for digital television and Streaming across networks, including the internet. 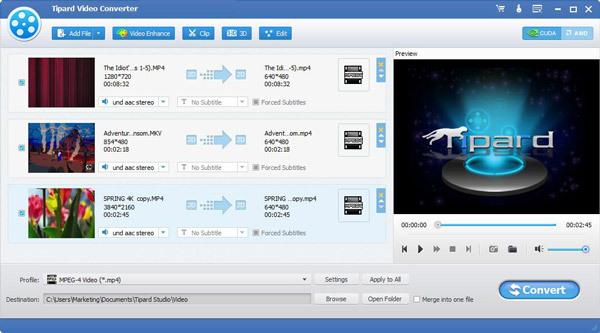 This step-by-step tutorial is designed to help you get started using Tipard MPEG TS Converter which shows you how to convert video TS to MPEG and convert MPEG to video TS. Step 1: Download and install Tipard MPEG TS Converter. Step 2: Add file to Tipard MPEG TS Converter interface. There are three ways to put your files on it. Method Three: Drag the file to Tipard Tipard MPEG TS Converter interface directly. 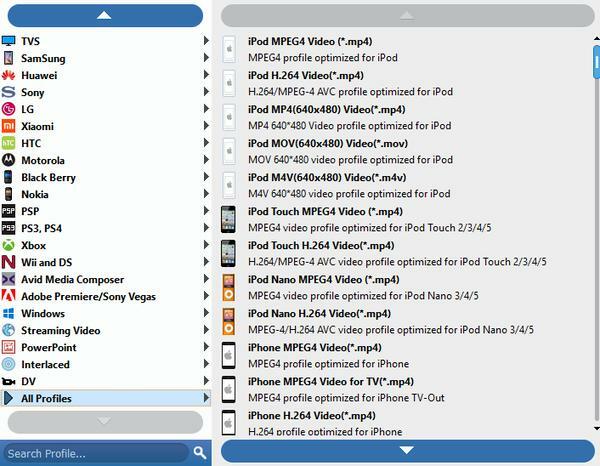 Tipard MPEG TS Converter places the profile in order, and sorts it by General video, General audio, HD videos, Xbox, PS3 /PSP, Apple TV, iPod, iPhone, Wii, Lossless Audio, Mobile Phone, Animation, Portable Multimdia Devices, Zune, Google Phone, PDA(Windows Mobile), User-defined. After you select the profile, continue to select the format on the right drop menu. 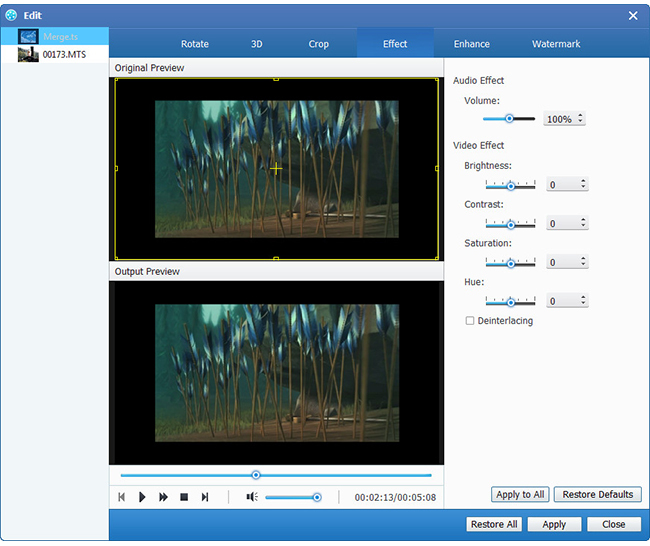 After all the steps above are done, click the right button on the interface to start to convert video.